Organisation of raffles, lotteries or quizzes which involve the taking of money. Members should not act in any way to disrupt the flow of an ongoing discussion. If a member does not wish to participate in an ongoing discussion or wishes to discuss a non-related topic, they are requested to begin another thread or go to the relevant Forum. You may be held legally accountable for what you say or do online. In particular, you may be held liable for any defamatory comments, threats and untrue statements or other illegal or fraudulent claims made by you. Your profile name(s) must not include words that are racist, profane, crude or otherwise offensive. You may be held accountable for any breach of the rights of a third party if you have not obtained their prior consent to the use of their property. You agree and warrant that you will comply with the terms imposed by the owner or licensor of any intellectual property rights as may exist in all software and information you access or post and to indemnify DataJournalism.com against any action or cost suffered or incurred by DataJournalism.com as a result of a breach by you of this term. DataJournalism.com does not undertake to monitor every communication or the conduct of every member of DataJournalism.com. We operate a notice and take down policy known as reactive moderation. 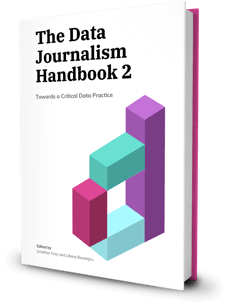 DataJournalism.com will use best endeavours to promptly remove content which is reported as being in breach of this Code of conduct or the Terms and conditions but cannot guarantee to do so. DataJournalism.com does not endorse any opinions expressed by members of DataJournalism.com. DataJournalism.com reserves the right, at its sole discretion, to remove material at any time. DataJournalism.com consists of information posted by third parties. 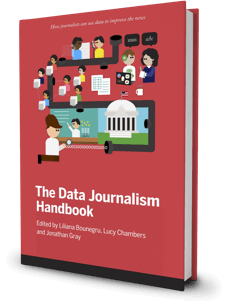 As a result, DataJournalism.com accepts no liability in respect to the accuracy or truthfulness of any advice, information or data posted online or any responsibility for the consequences of your acting in reliance on such information. If you fail to observe either these rules or DataJournalism.com’s Terms and conditions at any time, DataJournalism.com reserves the right, at its sole discretion, to exclude you (either temporarily or permanently) from any part of the DataJournalism.com website depending on the nature and severity of your breach. The team of DataJournalism.com may release information about you (both present and past) to the relevant authorities when it believes that you have breached the rules or have used DataJournalism.com to commit unlawful acts. We also reserve the right to disclose your personal information where required to do so by law and where we deem it appropriate in response to complaints of a substantial nature. Please note: Threads or posts may be deleted and members may be banned at the sole discretion of DataJournalism.com team without notice.